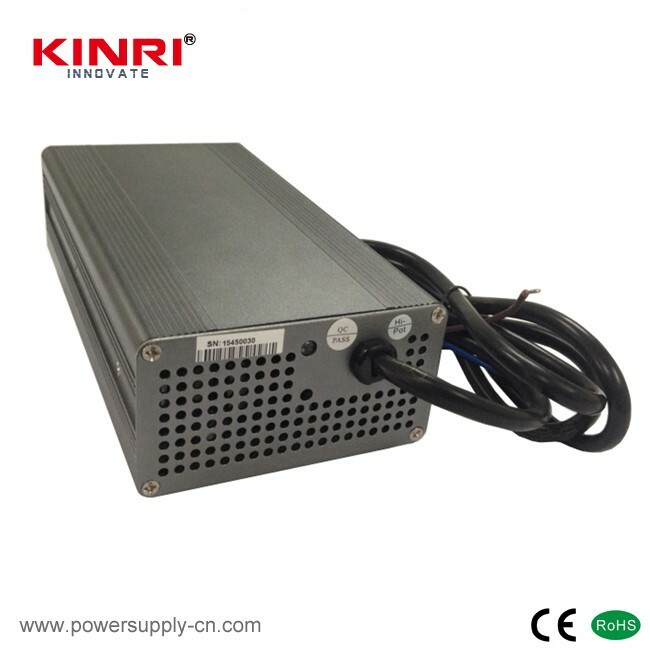 360W Lead-acid battery charger,Yacht charger-Shenzhen Jinrui Energy Technology Co.,Ltd. 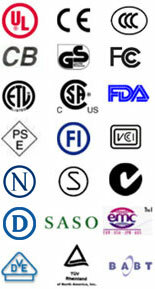 The charger are widely used for charging sealed lead-acid batteries, flooded lead-acid batteries and gel lead-acid batteries of electromobile, electric bicycle, electric tricycle, electric forklift, electric vehicles, electric motorcycles, electric sweepers, electric boats, electric sightseeing cars, electric golf cart, electric tractor, electric lift trucks, electric medical equipment, electric transportation trucks. 1) The charger inside is integrated with power factor correction (PFC) circuit, which can make zero pollution and avoid large current shock for the power grid. 2) Wide range of input voltage: 90Vac~264Vac. The charger is suitable for anywhere in the world and convenient for export. 3) High efficiency, small size, light weight: The charger is with over 90% efficiency. Proper structure as well as nice thermal design make the charger small and light with good portability. 4) Advanced technologies: Switching power supply type and MCU controlled 4 stages charging technologies can supervise the whole charging process and let the battery under best electrochemical reaction status, control the temperature rise and threshold voltage, that avoid overcharge or underfill, reduce gas evolution and water loss, prevent battery polarization, vulcanization and thermorunaway, extend the battery service life. 5) Exclusive precharge mode supplies activate, repair and prolonging life functions for long-term unused or deep sleep batteries. 6) High reliability: The charger is made of high quality military and industrial levels components. Advanced circuit design and strict production process according to ISO9001:2008 quality management system make the charger with low reject rate, high reliability and long service life. 7) The charger is reliable with multiple protections, such as over temperature protection, output short-circuit protection, reverse polarity protection, output over-voltage protection, battery failure protection, that prevent damage by faulty operations. 8) The charger case is made of aluminum alloy with surface oxidation treatment, high-grade, fashion, good heat dissipation ability, high hardness, antioxidative, non-fading. 1) Precharge stage (T1): When the battery voltage is lower than normal standard, the charger can not withstand large current charging. The charger will supply small current for charging, which has the functions of activation, repair and battery life extension. When the output voltage reach normal value or at the T1 of the timing period, the charger will switch to fast charge stage automatically. 2) Fast charge stage (T2, T3): When battery is on the main period of charging, charger will quickly charge the batteries with a constant flow, at the maximum current which can be used to the battery. When the battery voltage raise up to the set value, the charging current will fall off gradually, when the values drops to the set value or at the T3 of the timing period, the charger will lower the charging voltage and enter to the float charge stage (if the time reaches to T2 time period, when the charging current haven't dropped to the set value of T2, charger will be off, and enter to battery failure protection status). 3) Float charge stage (T4): The charger will switch to float charge stage, which ensure the battery is fully charged and reduce gas evolution and water loss, avoid battery polarization, vulcanization and thermorunaway, extend the battery service life. When the output current drops to the set value or at the T4 of the timing period, the charger will switch to pulse maintenance phase automatically. 4) Pulse maintenance stage (T5, T6): in the pulse maintenance stage, the charger can compensate for the loss of the battery self-discharge, and recover the battery capacity by removing the hard crystallographic lead sulfate in the battery. 1) Over Temperature Protection: When the charger internal temperature reaches protection point, the charger will stop charging automatically and the red alarm light will turn on. 2) Output Short-circuit Protection: When the charger appears short-circuit, it will cut off the output current and the red alarm light will turn on. 3) Reverse Polarity Protection: When the battery polarities are reversely connected, the charger will cut off the connection and the red alarm light will turn on. 4) Output Over-Voltage protection: When the charger output over-voltage, it will cut off the output current and the red alarm light will turn on. 5) Battery Failure Protection: When the battery appears internal failure and can not be 100% fully charged, the charger will switch off at regular time and the red alarm light will turn on. GREEN Light ON: fully charged or no connected. BLUE Light flash: battery is being charged. RED Light ON: Charger under protection (over temperature protection, output short-circuit protection, reverse polarity protection, output over-voltage protection, battery failure protection). 1) Close the power switch firstly. 2) Connect the batteries to the output socket with output wires—positive to positive, negative to negative. 3) Plug the input wires correctly and connect to the input power source then. 4) Open the power switch, blue light flickers means battery is being charged. 5) Green light means battery is fully charged. You may switch off the charger or continue charging and let the charger at maintenance mode with pulse current. 6) Disconnect he input cable after switched off the charger. 7) Disconnect the output wires. 1) Check the battery technical specification very carefully before charging, to make sure it matches the charger technical data. 2) Make sure charger output connect to the batteries on correct polarity. 3) Input/output connectors must be connected firmly during charging. 4) Reverse connect or short circuit are prohibited during charging. 5) If charger or battery found to be abnormal or damaged during charge, please unplug input and output wires right away. 6) If use other input wires, make sure the cable can withstand for the maximum input current of the charger, and the charger's input voltage is within its working scope. 7) If you need to extend the output connection cable, please make sure the cable can withstand for the maximum output current of the charger, and the voltage-drop between the charger and connection wire of the battery should be less than 1% of the battery voltage as possible. Otherwise, it may affect the effect of charging process. 8) High voltage and dangerous inside this charger, when there's a defect, please contact with factory. Users and the maintain person who is not professional staff in our company are forbidden to open or re-develop this product. 9) Never use during a lightning storm. 10) Don't wet the charger body, never use it in wet or rained place. 11) Never use it near the heat source or where is shined by the straight sunshine. 12) Never use it in or near the place of flammable gas. 13) Use it in the ventilated and dustless place. 14) Don't place rod or other metal objects at vent or other openings. 15) Never cover the air vent, always leave 10cm space for it at least. 16) Don't shake, bump or throw it strongly.